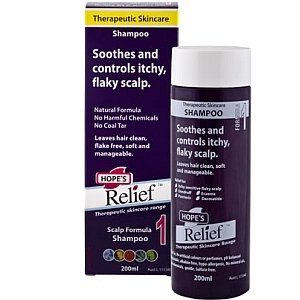 Hope's Relief cream was developed by Jacqueline Hope, a Melbourne Naturopath, in response to the need for a natural and effective alternative for relieving the symptoms of eczema and psoriasis. It is made from high quality, natural and skin friendly ingredients for use by adults, children and even babies. One of the first things that you notice about Hope's Relief cream is that it is not white. The colour is caramel, reflecting the hue of its natural ingredients. The scent is also unusual, predominantly licorice and honey. 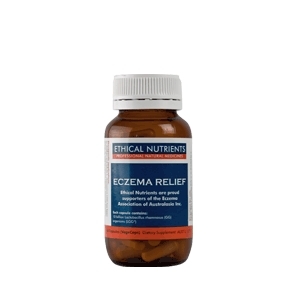 It makes you wonder how can such a simple, natural cream be so therapeutically effective? 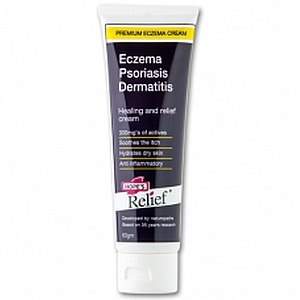 Relief cream is made out of top quality natural ingredients. It is very strong, so you only need to use it sparingly. Hope’s Relief Cream a radical departure from other skin treatments, is a synergistic blend of eight, excitingly natural healing ingredients. There’s herbal extracts of organic Calendula, Licorice root and Gotu kola. And there’s also anti-bacterial Manuka honey, soothing Aloe vera, plus homeopathic ingredients Sulphur, Rhus Tox and Graphites. Combined with the inclusion of homeopathics and the high potency of the active ingredients Hope’s Relief Cream is a truly unique product.